Gum disease, also known as periodontal disease, can cause a number of serious oral health problems, including missing teeth, gum recession, and more. If left untreated, the condition can also lead to severe health concerns, such as heart attack and stroke. To help you avoid these conditions, Dr. Steven M. Balloch can carefully examine your gums during each of your routine dental visits. Our team offers effective, gentle periodontal care at our Hartford, CT, office. We can also provide restorative dentistry to repair damage caused by gum disease. Do You Need Periodontal Care? If you have noticed any of these side effects, it is vital that you seek treatment before the condition grows worse and causes more severe dental damage. It is important to maintain your biannual cleanings and exams to catch gum disease in its earliest stages. 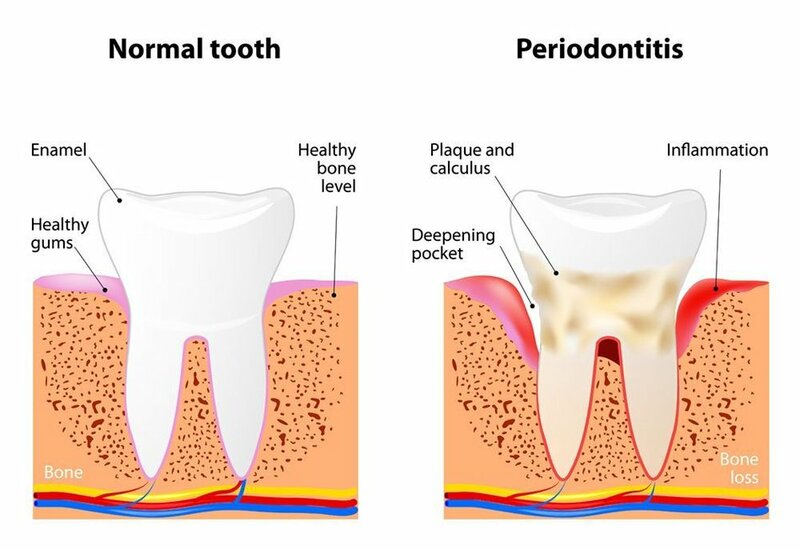 Why Is Periodontal Care Important? If you are suffering from the symptoms of gum disease, you should seek treatment as soon as possible. Bacteria can multiply rapidly, and cam wreak havoc on your oral health. Periodontal pockets can quickly grow larger, causing your gums to pull away from your tooth roots. As this occurs, you may experience visible gum recession, as well as widespread tooth loss, requiring dentures, bridges, or dental implants to replace missing teeth. In addition, gum disease can have dramatic consequences for your overall health, leading to heart disease, increased risk of stroke, dementia, and respiratory issues. Fortunately, our thorough care can protect your smile and overall physical health. If you have gingivitis, your hygienist can often perform only a routine cleaning to help rid your smile of bacteria. However, if pockets of bacteria have developed in your gums, you will typically require scaling and root planing. During this procedure, our team will eliminate the pockets, using gentle techniques that will not irritate the healthy portions of your gums. We will then smooth your dental roots. Rough spots on your roots can trap bacteria, so this process will reduce your risk for future issues. These procedures are non-invasive and conservative, and can often prevent the need for more extensive treatments to restore damage. If you have already lost teeth because of gum disease, you can benefit from our advanced restorative dentistry. We offer bridges, dentures, and dental implants, and we will help you choose the right option for your health needs and budget. Do not let your periodontal health go overlooked. Contact Dr. Balloch’s office today to schedule your routine exam or specialized periodontal care.